The cornerstone of the Gin scene, and one of the longest preserved recipes in all of mixology; the Gin and Tonic hails from the country of India and was invented by the British East India Company soldiers. The “original” recipe was founded in the 19th century and was used as a medicine to fight malaria for soldiers. Small amounts of gin were even included in soldier’s ration kits! The Gin and Tonic is a widely popular recipe due to its own sort of uniqueness surrounding its taste. Although the main ingredients of this recipe are often bitter, the finish of the cocktail is shielded from the bitter taste. Gin is an art form in the East, and is often served much differently than in the United States. 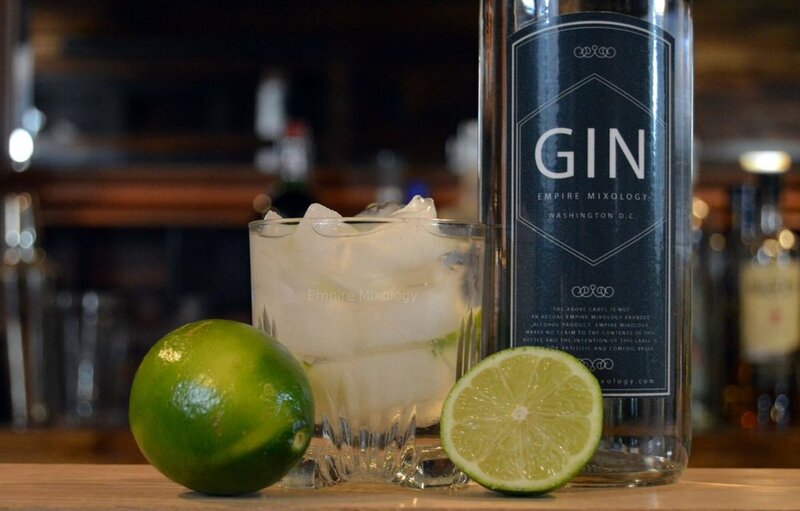 Other countries including Spain and India prefer to use a coupe glass that allows the gin to breathe as it is served instead of the oft-used highball glass. Try this method for yourself and see what you think is best! In a glass filled with ice cubes, add gin and tonic. Garnish with lime wedge.